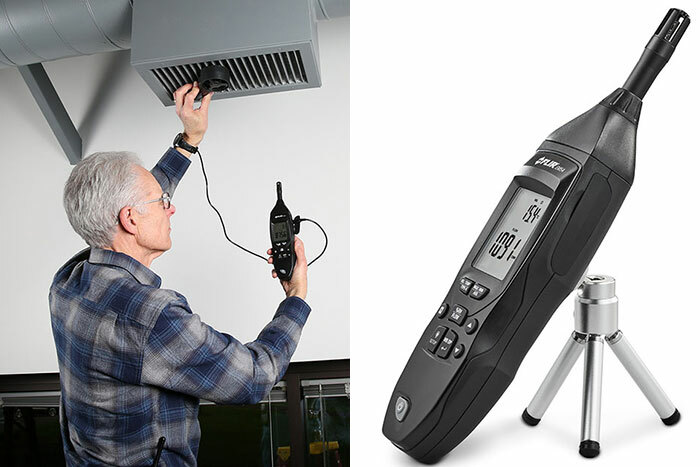 FLIR Systems, Inc. (NASDAQ: FLIR) announced today the multi-purpose EM54 Environmental Meter for HVAC/R measurements. The highly accurate EM54 is ideal for inspecting ducting, electrical motors, thermal equipment, and other system components in residential, commercial, and industrial facilities. This high-quality, easy-to-operate meter can help users quickly and accurately identify symptoms of clogged filters, duct leaks that reduce airflow, and overloaded HVAC systems.